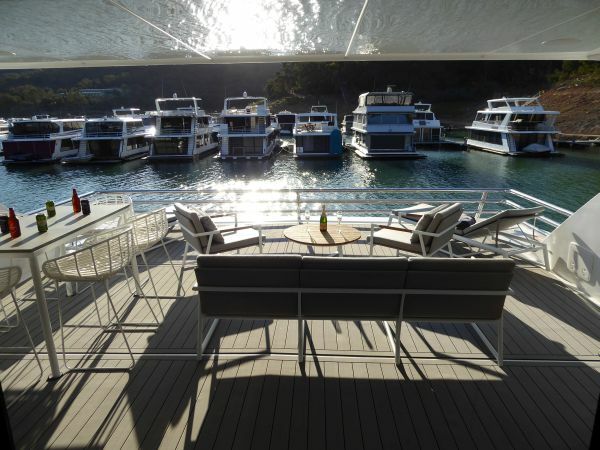 Turning many years of the strength of hard work into Golden Times for the Family on magical Lake Eildon is what Alchemy stands for. 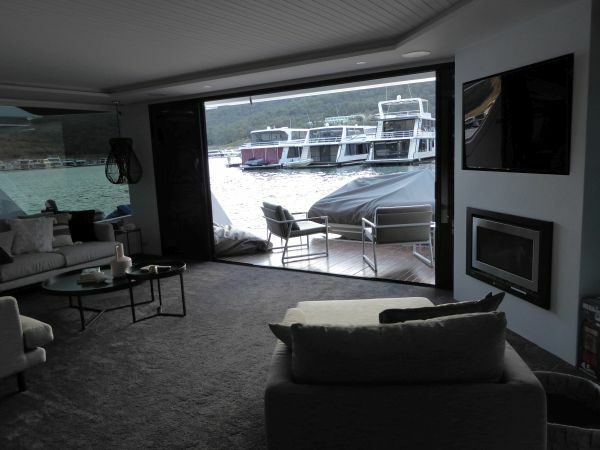 Alchemy presents the opportunity for your family to enjoy many golden times on this state-of-the-art luxury holiday home on the waters of Lake Eildon. 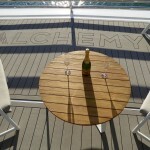 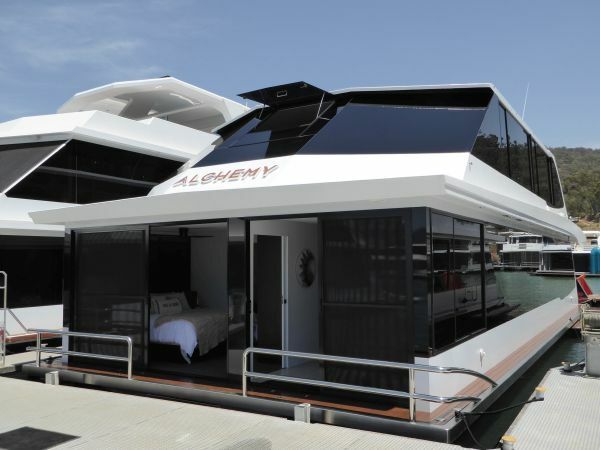 Alchemy is 18 months old and was built by reputable professional houseboat builders in Anchorage Houseboats. 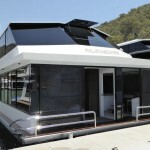 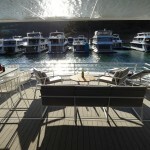 Alchemy is the new large size now permitted on Lake Eildon; that extra real estate makes a big difference. 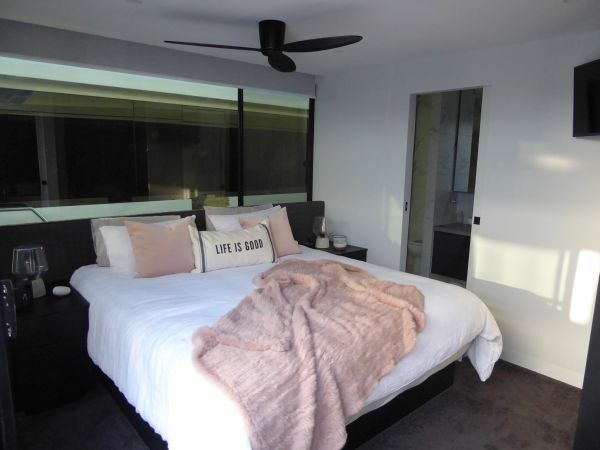 The Master Bedroom has plenty of room, with front view and full ensuite. 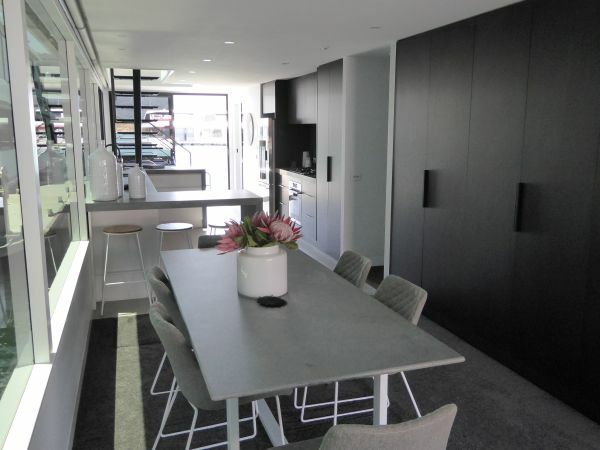 There is a modern kitchen with stone benches and all quality appliances including a Fisher & Paykel fully electric Fridge/Freezer/Ice maker. 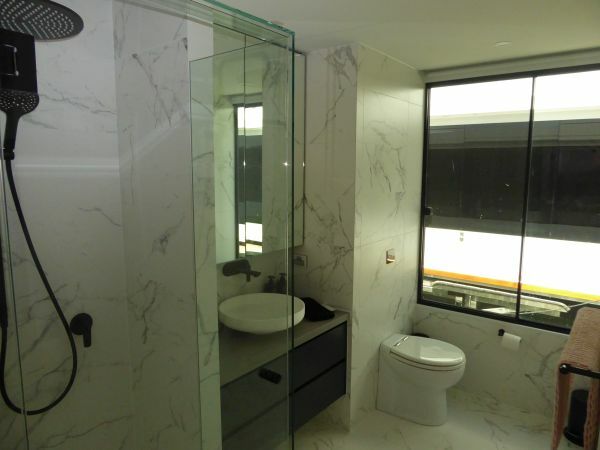 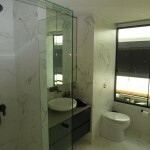 The main Bathroom has an excellent presentation and includes floor heating. 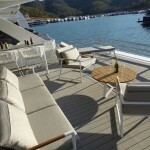 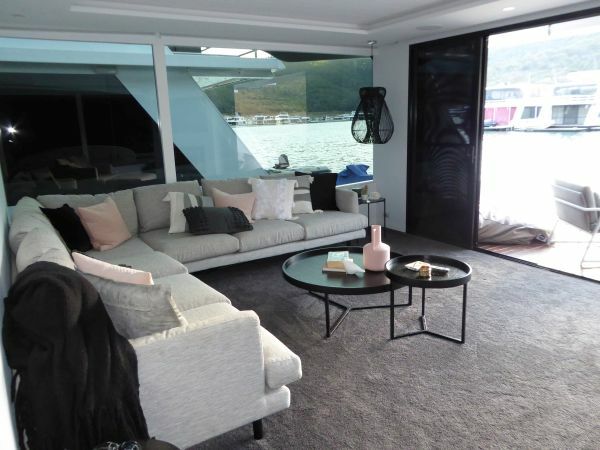 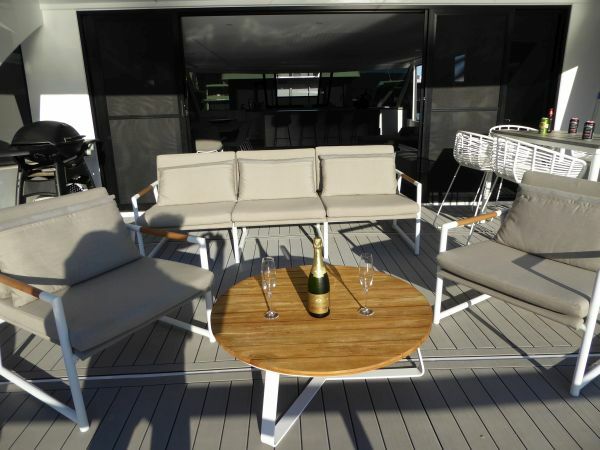 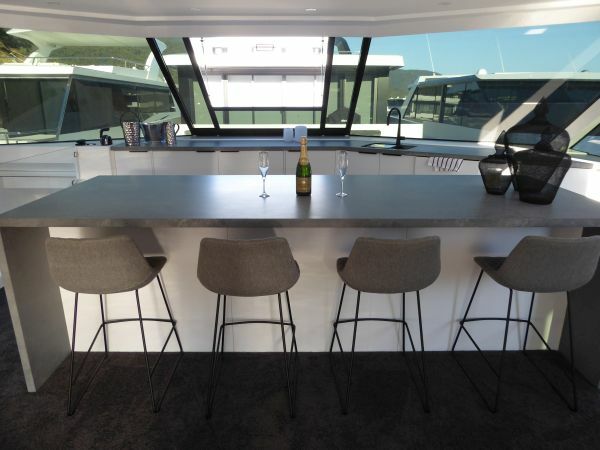 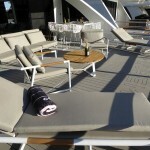 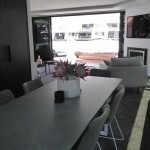 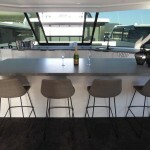 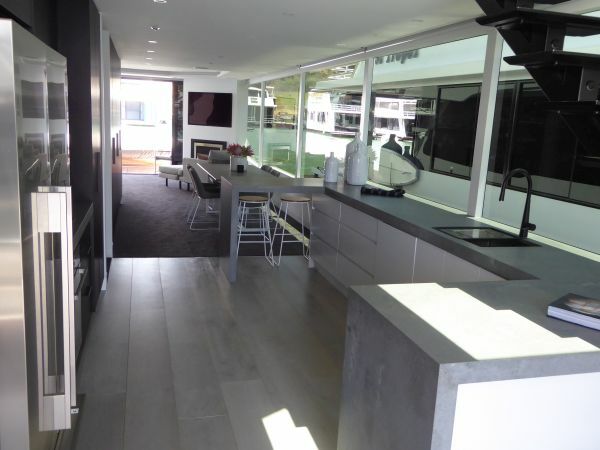 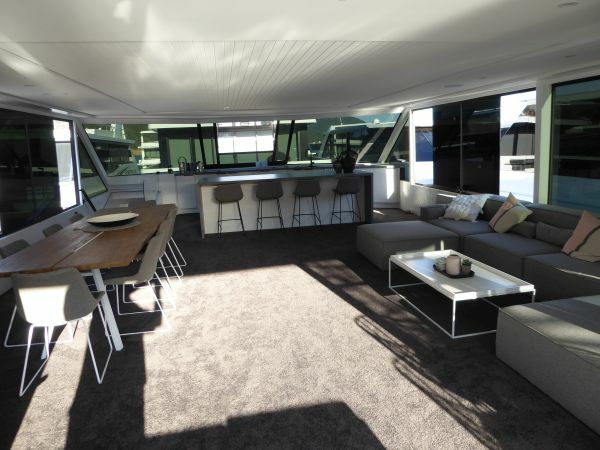 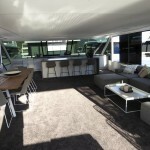 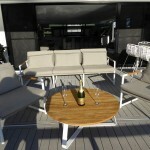 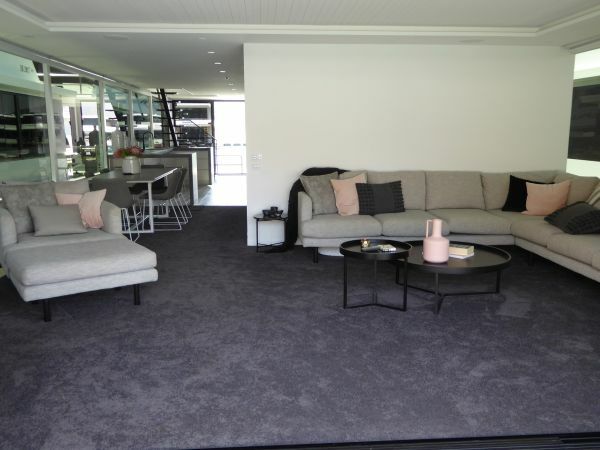 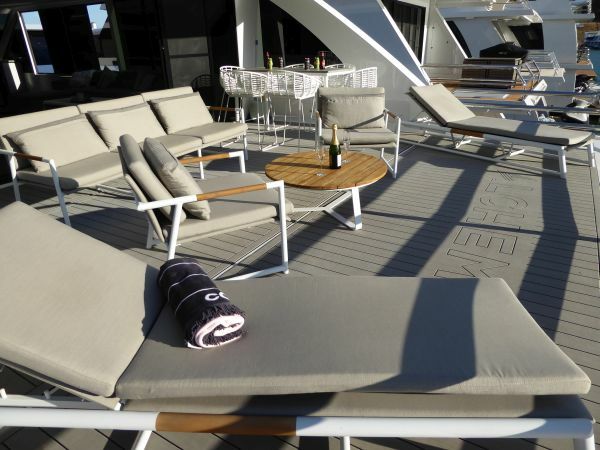 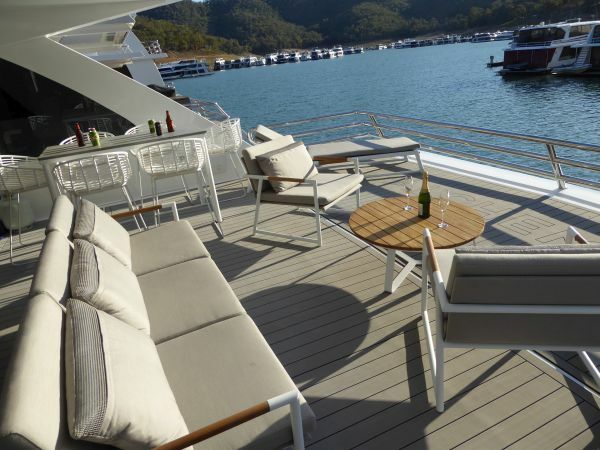 The Dining Area blends into a spacious rear Lounge which opens onto the rear deck with large hydraulic Duckboard. 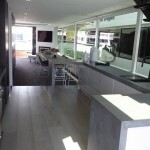 Then there is the upstairs area under the full Hardtop with sliding tinted windows. 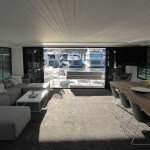 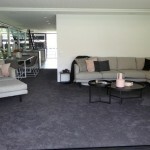 Whatever the time of the year, this makes a fantastic relaxation/entertainment space. 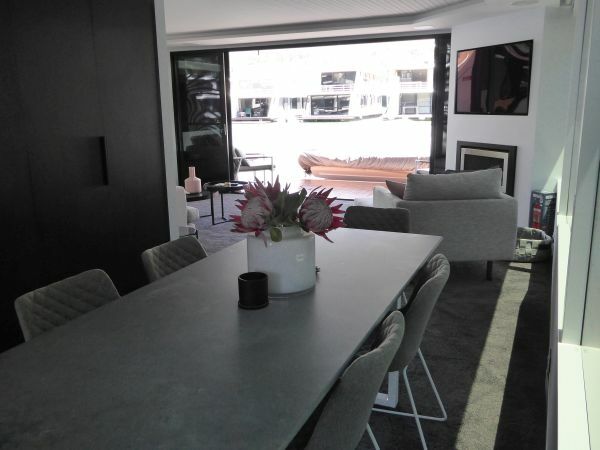 Open up the windows and enjoy the Summer Experience or in the Winter sit behind the windows with the heater going and feel the Serenity. 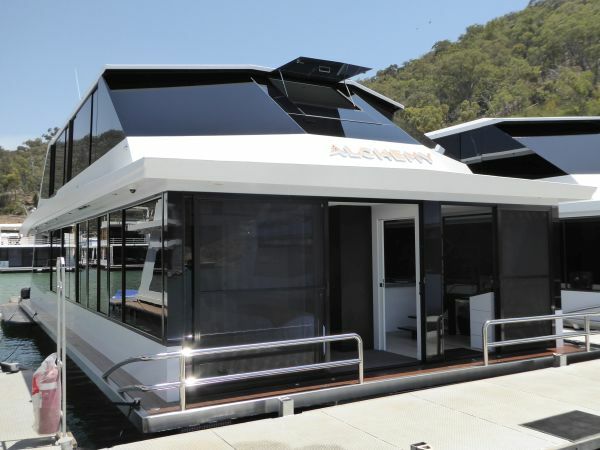 As expected, Alchemy has state of the art technology with a large Selectronic SP PRO Series Inverter System, 24 Gel Batteries and backed up by an economical Mace 900B Marine Generator. 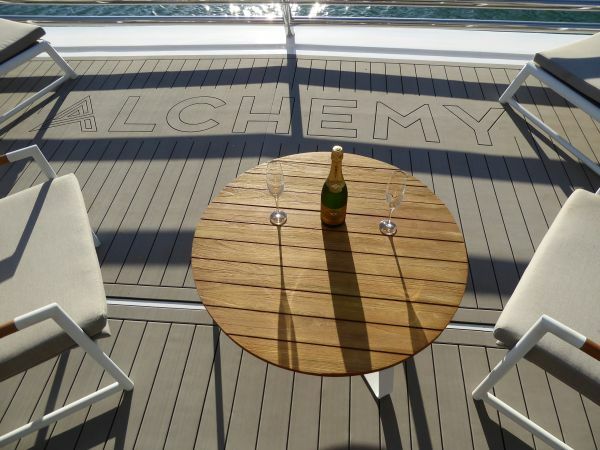 Alchemy will be easy to manoeuvre with Bow & Rear Thrusters, Auto Pilot and a Garmin GPS; Yes, she has all the modern gadgets to ensure you enjoy the Golden Times. 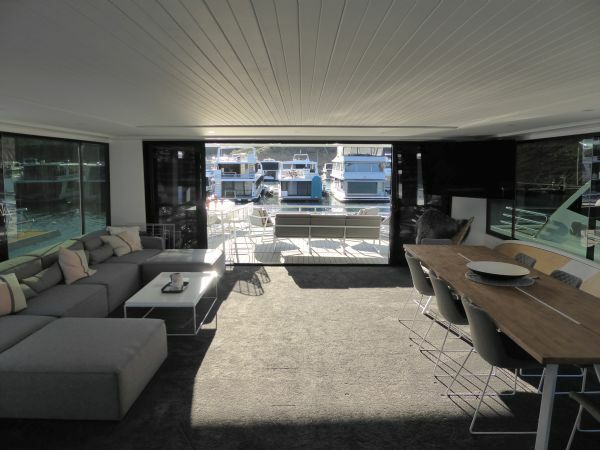 Alchemy is priced to sell; you can own a modern state of the art Houseboat Holiday Home now, without having to join a que to have one built. 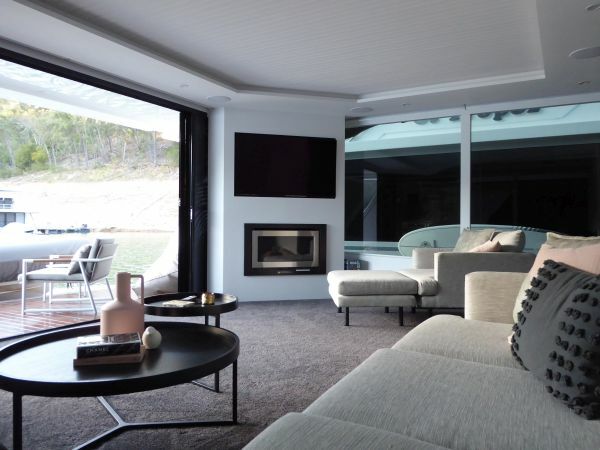 Your family will have many golden times together on this state-of-the-art luxury holiday home on the waters of magical Lake Eildon. 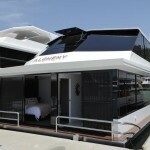 Other: Electric Blinds throughout; Stainless Steel Gunnels; Tinted Windows.